As social media brings firms closer to their customers, customer relationship management (CRM ) isn't something that can be ignored. This is even more prevalent in the competitive small business market, where getting it right can be the difference between those who do and do not succeed. Good CRM techniques result in loyal, engaged customers who are likely to repeat business, and recommend you to others. The process doesn't have to be expensive; a strategy combined with some basic CRM software should be more than enough for a smaller business to succeed. It's likely that CRM will encompass your sales and marketing functions, but if you have an accounts department too, it's best to get their buy-in; they are interacting with customers too. Then you need to decide how you will approach your CRM strategy. If you have a website, you can use analytics to target clients who have visited but not bought anything. This means sending targeted emails to your already identified leads - a sure way to build business. You are a small company; but that doesn't mean you have to aim small. 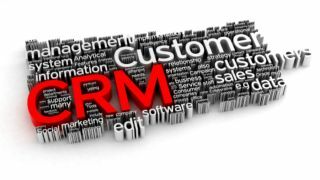 Well placed CRM can help you to punch above your weight, however, there is no need to start implementing CRM software on a huge scale either. Focus on a plan that addresses your business' current needs and also looks at its future direction. You can even manage all your CRM online - an option that's especially popular with businesses who have less than 20 customers. It's essential to have some sort of system for you customer data, whether it is through Excel spreadsheets, or an external provider. Getting organised in good time allows you to build your relationships and get customer referrals early, because you can target each customer individually. Being able to remember details from your last interaction will not only impress the customer, but keep you on top of where you are in terms of the sale. If you have saved correct details, you can also hone your marketing to the particular client. If you are looking at expanding out your CRM systems beyond spreadsheets, look at businesses who are used to working with small companies. At the same time, it's important to choose a vendor that will still be around to service the systems in a few years time. If you decide to go for a cloud service, you can often try before you buy, so make sure you take advantage. Talking to a consultant at a respected company such as Dell can help you streamline and hone your CRM to work for your individual business' needs.